Traverse City, MI - February 10, 2014 - The 2013 Horse Shows by the Bay Equestrian Festival, held in the resort town of Traverse City, Michigan, was once again recognized for excellence. For the fourth consecutive year, The North American Riders Group (NARG) named Horse Shows by the Bay among their coveted "Top 25 Shows in North America." 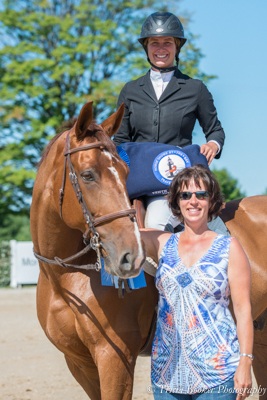 "We are very pleased with the outcome of the survey and to be placed squarely on the list among so many other prestigious horse shows throughout North America," said Alex Rheinheimer, owner and manager of Horse Shows by the Bay (HSBB). NARG is a group of high performance equestrian athletes and owners whose goal is to improve the sport of show jumping. 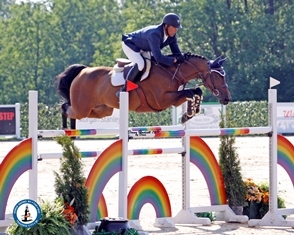 Their analysis has become a benchmark in the industry and is primarily centered around high performance show jumping. They seek to recognize the "destination events that prepare, challenge and reward the best horse-and-rider combinations. The best shows attract the best riders, in turn offering the toughest competition and equestrian sport worth watching." With thousands of owners, riders, trainers, grooms, family and friends traveling from 32 states and Canada to make their summer home base at the boutique four week hunter/jumper series, Horse Shows by the Bay fits that description. "We are totally committed to following the NARG philosophy and improving Horse Shows by the Bay," said Rhineheimer. "We study the metrics and summary that NARG provides each year and seek to incorporate their suggested changes. We will continue to do so with the hopes that each year we are recognized by this esteemed group of high-performance athletes." NARG's rankings rely on an analysis of footing, stabling, courses/jumps, technical aspects, prize money, award ceremonies and marketing in a weighted format. Of the more than 1,200 shows in North America eligible for evaluation, NARG ranked Horse Shows by the Bay 24th. Once again the evaluation recognized HSBB for their unique and successful attributes. "[Horse Shows by the Bay] is a fantastic facility in a fabulous town with a friendly and welcoming staff," read the report. "In past years our evaluators have highly commended the atmosphere and customer service. Show producer Alex Rheinheimer is accessible and easy to communicate with; she wants these shows to be outstanding. The word is out--the turnout was tremendous this year. The courses and jumps were fabulous." NARG also recognized HSBB's continuing commitment to footing, scoring the show 36 points out of a maximum 45 (only topped by seven other shows on the list): "The footing in the main arena and schooling area is great." Other highlights included a 9 out of possible 10 points for Courses/Jumps and 24 out of 30 for the Awards Ceremony. 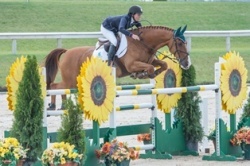 Horse Shows by the Bay offered more than $600,000 in prize money during the 2013 four-week Hunter/Jumper series; NARG's evaluators commented that an increase in future grand prix prize money or an international-level event would improve the show’s future ranking. "We recognize for some events that is the best fit," the report read. "However, the potential to host a high-performance, big purse event is there; possibly one day that can happen." Rheinheimer agreed. "For a young horse show, we've come a long way in just 10 years. I hope that as we continue on into our second decade we'll be able to follow those steps that NARG envisions into our future. With the wonderfully supportive sponsors we've cultivated over the years, I don't see anything stopping us from our continued development!" The 2013 event attracted 118 total sponsors, a 10 percent increase over the previous year, and Rheinheimer only sees the momentum continuing. "Typically, we sell out, and I expect the same this year now that the NARG report is out and we're once again honored to remain in the top 25," said Rheinheimer. "I'm thrilled with the results and, of course, must thank our exhibitors, sponsors, friends and staff for helping us to achieve this result. We wouldn't be here without them." The 2014 Horse Shows by the Bay Hunter/Jumper Series I-IV will take place July 2-27. For more information about Horse Shows by the Bay and to learn about available sponsorship opportunities, please visit the website (www.horseshowsbythebay.com) or contact Alex Rheinheimer (alexrheinheimer@aol.com). For additional updates, please visit the Horse Shows by the Bay Facebook Page.